Good morning SOTGC readers. For those of you with kids or who know anyone who has children, here is a wonderful “money” post by Bridget Venus Grimes. I just returned from a college tour with my son where we spent the past five days visiting some of our country’s most esteemed colleges in the Washington, DC area. It was exhilarating to say the least, but not just in an exciting, hopeful way. The price of college in our country is astronomical and increasing far faster than inflation every year. In fact, college tuition has been increasing at a rate of 8% per year. 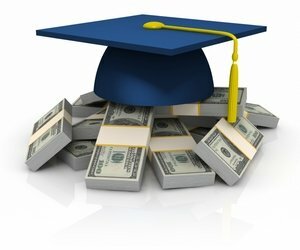 For a student entering a private four year college in Fall of 2013, you can expect that education to cost an average of about $32,900 per year. Public school comes in at about half that, $15,100 for a four year education. My son and I looked at both private and public schools and the main take away was that, regardless of where your child winds up, you need to put a sizeable amount of money aside and I suggest you consider funding a 529 plan. 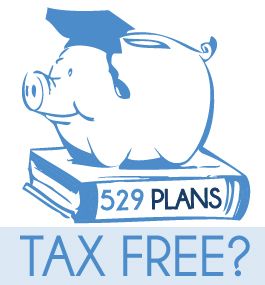 529 plans are education savings plans that are tax free if the funds are used for qualified education purposes. Qualified expenses include tuition, room and board costs for accredited two and four year colleges and universities, vocational schools and some foreign institutions, as well as books and some other mandatory education expenses. I like 529 plans because of the tax advantages they provide. In this day and age, there really aren’t a lot of opportunities for tax breaks. The fact that the gains are tax free, is in my opinion, the reason to have one of these accounts if you believe that your child will someday attend college. 529 plans also allow for the flexibility of changing the beneficiary. As the parent, you are the owner of the account and your minor child is the beneficiary. Should your child decide that they don’t want to go to college, you have the flexibility to choose another beneficiary. As long as the beneficiary uses the money for qualified educational expenses, there is no penalty. If you or your child decide to use the money for expenses that are not qualified, you will be required to pay a 10% penalty, as well as tax on the gains. How do you invest in a 529 plan? There are many different 529 plans available. I typically use plans that have shown decent performance over time. 529 college savings plans allow you to choose specific mutual funds offered by the plan. Investment options typically include stock and bond mutual funds, as well as money market funds. Many 529 plans offer age-based funds, which are funds that will automatically become more conservative as your child approaches college age. Rather than having to choose the specific mutual funds to include, age-based funds will be a mix of mutual funds based on your child’s age. Because the average person is not a financial advisor, I think age-based funds are an excellent option. Important to note are the fees associated with 529 plans. In the past few years as the stock market gyrated and earnings of 529 plans and mutual funds in general swung with the market, fees charged by brokers for 529 accounts ate into returns. This is where the specific share class will make a difference to your return. Share classes will have different fees, so I suggest asking your financial advisor to show you what fees are in each share class of a 529 plan you may be considering. There are other ways to invest for college education such as investing in UTMA accounts. I personally like the ability to choose whatever investments I want to reach a specific goal, which I can do with a UTMA account. However, I think 529 plans are a good part of an overall strategy to fund higher education and with the tax benefits, I think they really need to be included when saving for college. I’ve talked to many parents about college costs and funding for it. Regardless of whether you’d like to help your child with all or part of their education, proper planning has become essential due to the rate of cost increases. When I graduated from college in 1985, tuition at my school was $13,000/year. Now 27 years later, one year of tuition at my college is $41,000. Add to that room and board, and you’re at $54,000. Unless you want your child saddled with debt, or to have limited choices, there truly is a sense of urgency to plan for this.